Gaining access to a safe that has been locked shut is not an easy task; after all they are designed to be impenetrable without a key or code. In addition to this, the advancements in safe technology have made gaining access to a locked safe almost impossible without specialist knowledge and equipment. At Thornhill Security, we offer a full safe opening service, whether you discover a safe when moving into new premises, or have lost the keys or access code to your own safe, we can help. Unlike many locksmiths, we are, in some cases, able to manipulate safe locks in order to open them without causing excessive damage to the lock, meaning the safe will still function after being opened. If the keys have been stolen, we are also able to replace the locks and provide you with new keys. What Is The Cost Of Safe Opening? Do you need a safe opened? 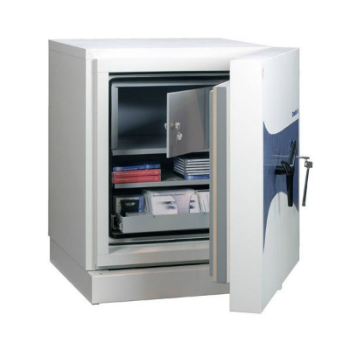 At Thornhill Security, we can open all models of commercial, domestic and gun safes from leading manufacturers including SMP, Chubb, Dudleys, Burton and more. For more information on our safe opening service, call one of our expert team today on 0117 9674994.